Mother & Earth Baby Boutique sponsored the Big Latch on at the Capitol on August 5. The event included music and vendors, and was open to all. There were 49 moms and babies who latched on for the official count. 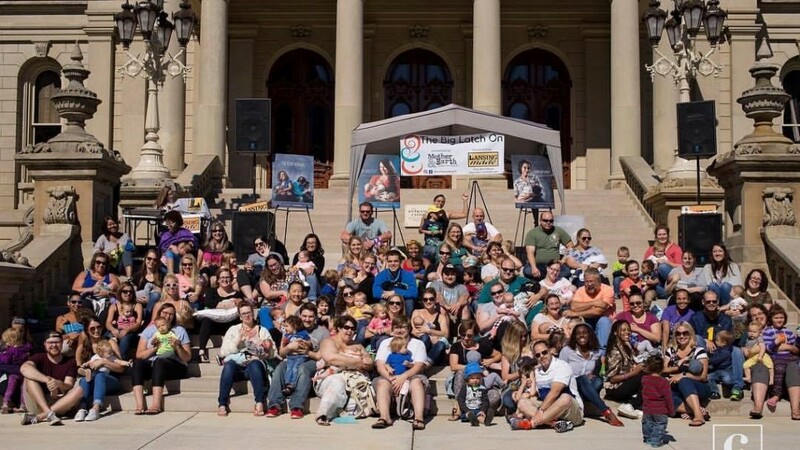 Congratulations on another successful Big Latch On, celebrating moms and babies breastfeeding Anytime, Anywhere!